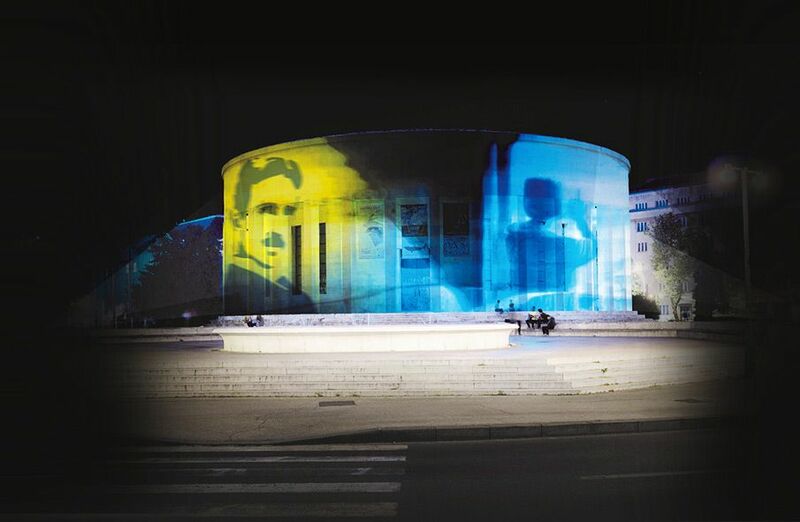 An exhibition which immerses visitors into the magical world of Nikola Tesla, one of the world’s greatest visionaries. It takes you on a journey without a beginning or an end, through a process of inspiration, creativity and production. By merging the elements of a ‘live’ film, video set design, computer game, magical hologram and light adventure into a unique virtual reality multimedia experience, this exhibition is a must-see. Interest in Nikola Tesla’s work has not faded throughout the decades. This exhibition, organised in collaboration with partners and sponsors and presented by the REAL GROUP and the Association of Fine Artists (HDLU), is a sensation in the region and in Europe in terms of production art. This journey to the future takes place in the Meštrović Pavilion in Zagreb. In addition to the functional and aesthetic reasons, it is an interesting fact that these two geniuses were friends. Award-winning Helena Bulaja Madunić is the author and curator of the exhibition, which presents her ten-year authorial work. The creation of this experimental futuristic spectacle, modelled on the vision of Nikola Tesla, is a product of her collaboration with a group of 20 international artists who operate in the field of synergy of science and art by merging film, animation, video art and technical innovation. After a four months display in Zagreb, the exhibition is then leaving for New York, Prague, Paris, Budapest and Dubai.